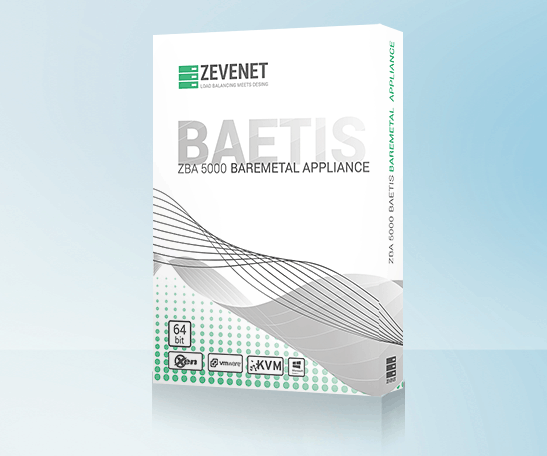 The ZBA Bare Metal Baetis Appliance provides an optimized 64 bits installable ADC ready to be integrated in your own physical hardware, with an unlimited system in terms of throughput, connections, farms and backends and physical resources. Optimized for multi-core and with a broad hardware compatibility. Bare Metal is an installable Application Delivery Controller format which allows to be deployed in an heterogeneous set of platforms. As an ADC installable solution, Bare Metal supports a broad multi vendor servers equipment such as HP, Intel, Dell, Super Micro, IBM, Lenovo, Fujitsu, and more. Several hundred thousands of installations and deployments around the world are the background of Zevenet. Companies and Enterprises from different sectors around the world rely on Zevenet as an stable and professional product to provide an high availability, security and massive scale solution for their infrastructure. Among Zevenet’s customers we can find companies from various sectors like Healthcare, Education, Utilities, Internet Providers, Financial, Hosting Providers, Government, IT Consulting, Industry, etc. Check out our successful cases. WHAT CAN WE DO WITH ZEVENET? Zevenet makes massive scale infrastructure easier for networks, services and applications. Zevenet has a proven performance in different environments with software solutions like Citrix XenApp, Terminal Services, Microsoft Exchange, Outlook Web Access, IIS, Apache, Tomcat, Lotus Notes, and much more. We’re developers of open high technology made easy for system administrators, network engineers and devops. We believe in no limitations, transparency and openness of technology. Multilayered Application Delivery Controller. Complete Application Delivery Controller solution with the ability to behave as load balancer and high available service at different layers (L2, L3, L4 and L7). 64 bits support. Ready for 64 bits platforms in order to provide better performance and more robust environment. It permits to assign more resources in terms of memory and performance than other architectures, optimized for multi-cores CPUs in order to enjoy a 100% 64 bits system. 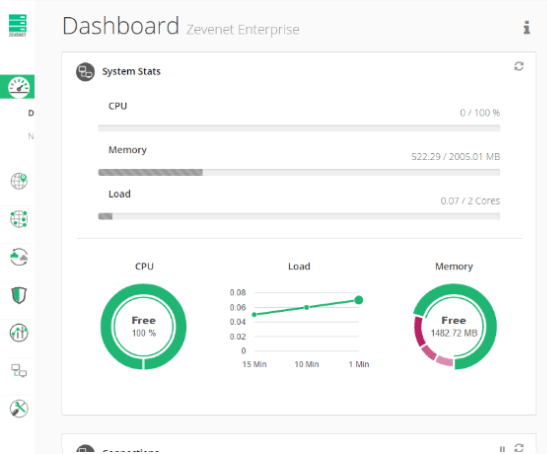 Zevenet Enterprise Edition v5. Latest Zevenet stable version with Enterprise Edition performance, features, security and usability improvements. Check out the features tab for further information. Responsive web GUI. Web graphic user interface with improved usability, accessibility and responsive view to be used in different devices. Rest Json API v3. Load balancing automation is possible with a REST JSON API to view, create, delete and modify resources in the load balancer: farms, backends, farm guardian, statistics, network interfaces and more. Limitless system. The ZBA series are not limited in CPU usage, CPU cores, maximum bandwidth, number of farms or backends. You get the full features and the maximum settings from the system with every product! Use all the resources available without restrictions in terms of number of cores, memory used, throughput or other system parameters. Optimized for multi-core hardware vendors. Support of a broad set of drivers to be able to transform your hardware server in a complete ADC ready to be installed in multi vendors servers and optimized for multi-core processors. Load Balancing and high availability in layers 2, 3, 4 and 7 for WAN uplinks, services, applications and data centers. Advanced HTTP/HTTPS application features like session persistence, redirections, virtual hosts, on the fly decryption/encryption, SSL certificates (SNI and wildcard), cookie insertion, reverse proxy, among others. 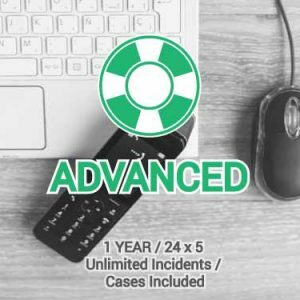 Advanced health checks of servers and services. Traffic scalability and distribution by weight, round robin, cpu load, memory, least connections, least response, etc. Configuration backups to allow quick disaster recovery procedures. Load balancing services monitoring through SNMP, RRD graphs and email notifications. Advanced network management: VLANs, virtual IPs, link aggregation, static routing and IPv6. Support of dNAT (transparency) and sNAT topologies. Automation support through REST+JSON API. Ready for A+ in SSL Labs and PCI compliance. 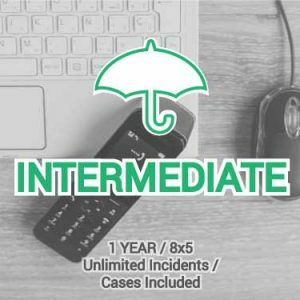 Intrusion prevention and detection service (IPS+IDS). Optimized 64 bits operating system ready for massive scalable systems. Minimum of 8GB of dynamic disk allocation. The system will require 2GB, but it’s recommended the minimum amount in order to ensure the logs storing. At least, 2 network interfaces. It’s a good idea to maintain the maintenance network interface independent from the services network interface. If the cluster is configured, it’s recommended to create another independent NIC to reduce latency. Follow the good practices when configuring a cluster service. Both nodes should have the same number of network interfaces and drivers. The software included in the ZBA Enterprise Edition is delivered under the terms of GNU Affero General Public License v3. 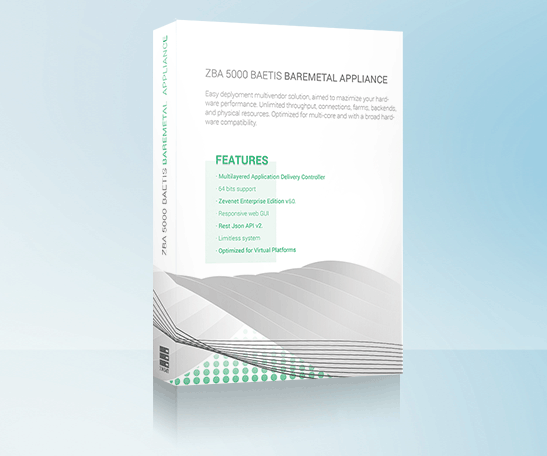 The ZBA products licensing model is related and associated to the number of instances installed, so it’s needed as much appliances as installations required. Resources like CPU, memory or throughput allocated per node are not relevant to the licensing model. If a single node is required, only it’s needed to acquire one appliance license. If a cluster LB service is required, two appliance licenses are needed. When acquiring an appliance, a product version certificate is obtained. 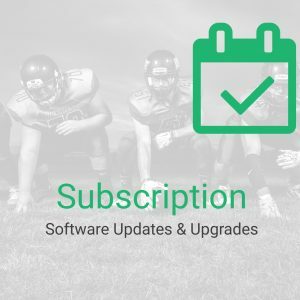 Each appliance could be updated with the incremental software releases that we provide with a valid Support Plan in form of install package, but a re-installation of any product version upgrade requires to acquire a certificate upgrade for such new version. By other hand, a re-installation during the appliance lifetime is supported meanwhile the hostname remains the same. In a similar way, an appliance certificate could be reissued to change the hostname of the appliance if there isn’t any associated re-installation of such. The evaluation of this product is free of charge and it allows to install, create and use the real product during one month by default. Extensions of this period could be requested to the Sales Team through the contact form. During the evaluation period, pre-sales support is available. Once the decision of purchase is made, it’ll be enough to issue a definitive activation certificate without the need of deploying the appliance again. 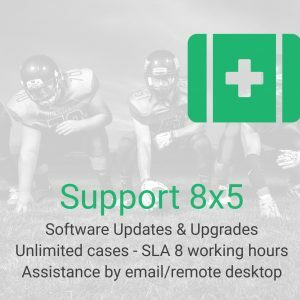 Is support included with the appliance? 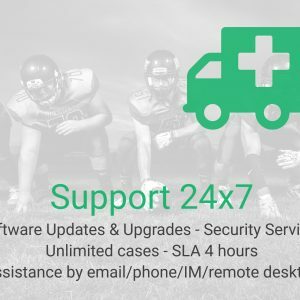 The support service is not included with the appliance and it should be acquired a part of the product in order to get updates, security advisories and patches, hotfixes, development proposals and assistance from our specialized Support Team. 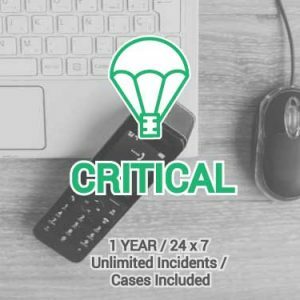 We can provide four different support plans for every application requirements, from Standard to Critical support services.